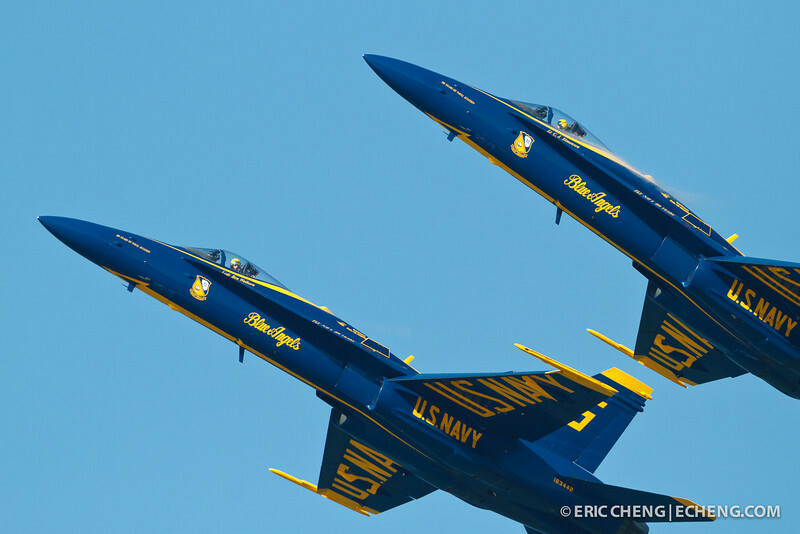 Two Blue Angels position their jets at an angle while flying straight and slow. Fleet Week in San Francisco, CA. October 8, 2011.